Tramadol is a synthetic opioid analgesic pain reliever. Doctors use it to treat moderate to severe pain. They sell it under the name Ultram in the U.S., and Dromodol elsewhere. Mostly, it influences the central nervous system by changing the way the brain and body react to pain. It inhibits the reuptake of neurotransmitters such as serotonin and norepinephrine. However, it activates dopamine receptors, thus enhancing the inhibition of pain transmission. In other words, it stimulates the reward centers of the brain that lead to feelings of pleasure. The amount of the drug that can cause an overdose differs from person to person. Of course, it depends on their metabolism, current state of health, and the form of intake. This drug stays in the body for about six hours, but the detection is possible for days after use. 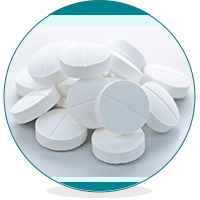 Many people might use Tramadol in combination with other medication like acetaminophen. As a result, it can cause an overdose. Acetaminophen being less potent, can increases the effects of tramadol. Notably, this combination can cause liver damage or even death. This drug is very addictive when you abuse it. The total number of people misusing drugs, such as Tramadol is high and rising. This is according to the Substance Abuse and Mental Health Services Administration (SAMHSA). It is available in oral and parenteral dosage forms. The usual therapeutic dosage varies depending on the opioid or opiate tolerance. For people who never used it before, the starting amount is only 25 mg at a time and no more than 100 mg per day. After they have developed tolerance, you can increase the dosage. However, never do this without consulting a doctor. The largest recommended dosage per day is 450 mg.
What Happens After Using More Than Recommended? Many research showed that men are more likely to overdose from a prescription painkiller. Furthermore, dependence on these substances is usually connected with alcohol abuse. People thought that Tramadol was a safe alternative to morphine. However, when you take it orally, the body converts it into another compound. As a result, it activates the opioid receptors much more than the drug itself. If somebody takes 500 mg of Tramadol, he/she will end up in a hospital. It might be accidental or on purpose. In addition, they can have severe side effects like seizures. Nonetheless, a overdose does not occur unless a person takes between 2.65 and 8.2 grams. This is about 5 to 10 times more than the recommended daily dose. In extreme cases, overdose can have some serious consequences. For example, it can be pulmonary edema, cardiac arrest, liver failure. In these cases, they need extended hospital care. In the worst case scenario, an overdose can be deadly. Unfortunately, permanent and unstoppable brain damage can result. Specifically, this is from the resulting shallow breathing. Hence, not enough precious oxygen is able to get to the brain. If you notice any of these signs, immediately call 9-1-1. While you are waiting for the ambulance, try to remember everything you know about the person. This includes his/her prior medical condition. Moreover, you should note the amount and form of the drug that the victim took. What is the Treatment for Tramadol Overdose? The treatment of Tramadol overdose should above all imply adequate ventilation. This is because of the person’s breathing difficulties. Consequently, fainting is a high possibility. Also, people use a substance called Naloxone to reverse the effects of tramadol overdose. Naloxone binds itself to the same receptors in the brain that it affects. It’s like a lock and key. In this case, the key is not Tramadol. Therefore, by taking its place, this prevents the negative outcomes. However, one should use this substance very carefully and with medical supervision. It’s because Naloxone can cause seizures. In more drastic cases, the patient may need to receive oxygen or defibrillation. As a result, you should do it if their cardiac system is in danger. Withdrawal can be very hard and unpleasant. The first line of defense against addiction is to seek medical help and an advisor. Doctors in the rehabilitation centers treating Tramadol addiction can prescribe a therapy to help with the physical discomfort. There is always someone who can help and support you in your struggles. Visit the following site for more details.